Post Valenitne's Day. Do You Still Feel the Love? With FotoBella.com and BoBunny, Head Over Heels Hanging Tag. I used Bo Bunny Head Over Heels I want it all Bundle. 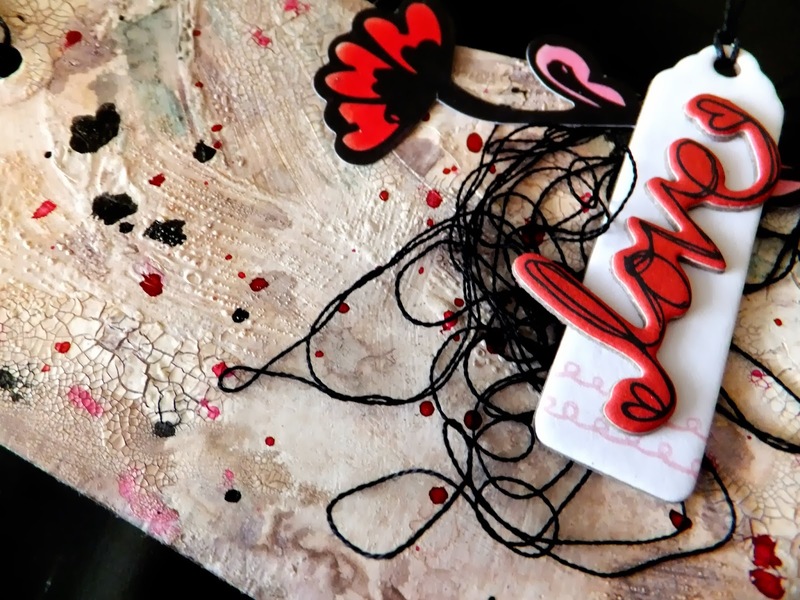 I love the modern, artful, sketchy look to this Valentine's Day collection. 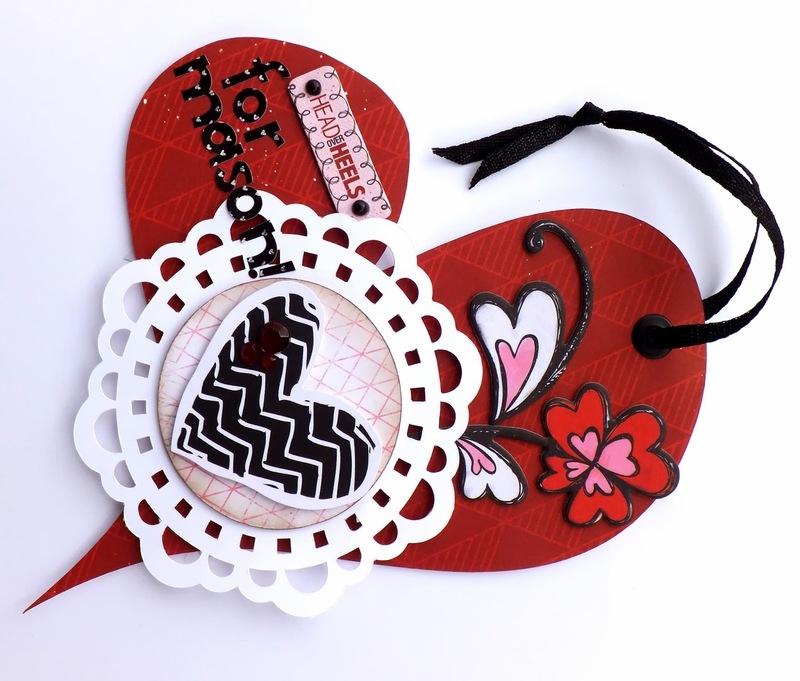 Red heart and doily were cut out on the Silhouette Cameo. 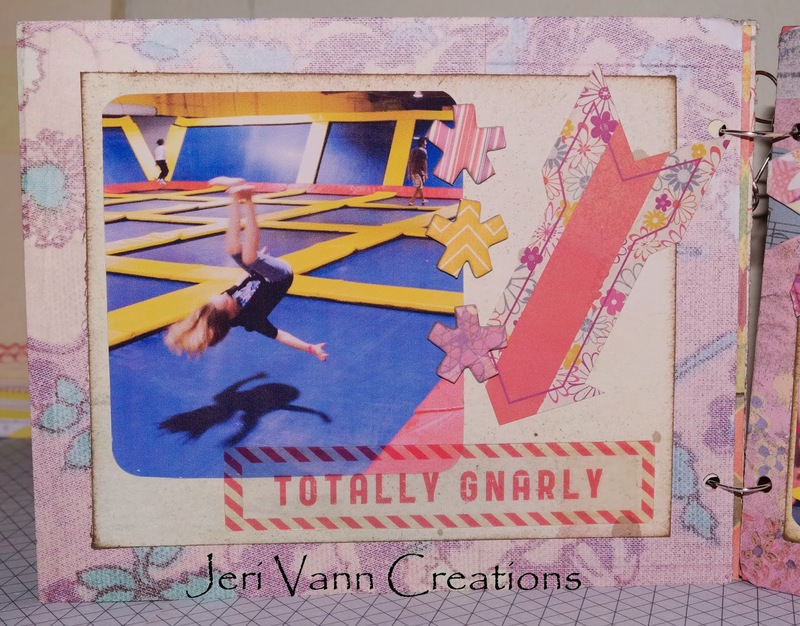 I'm just crazy for the colors and patterns in the Crazy for you I want it all bundle by We R Memory Keepers! I was inspired by the fourth sketch here and used this photo of my 11th wedding anniversary. 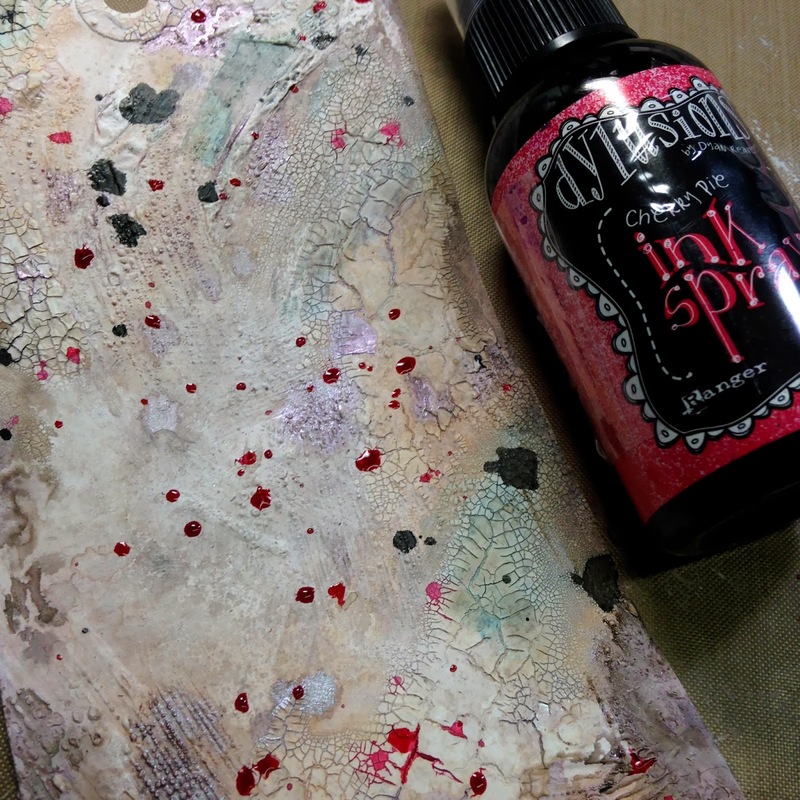 I got messy using my new Tim Holtz Stripes and Splatters stencils with some distress inks and mists. The splatters were a last minute decision because I felt like it was missing something before. All of the hearts were stamped with the doily heart stamp that comes in the bundle and machine stitched right down the middle. 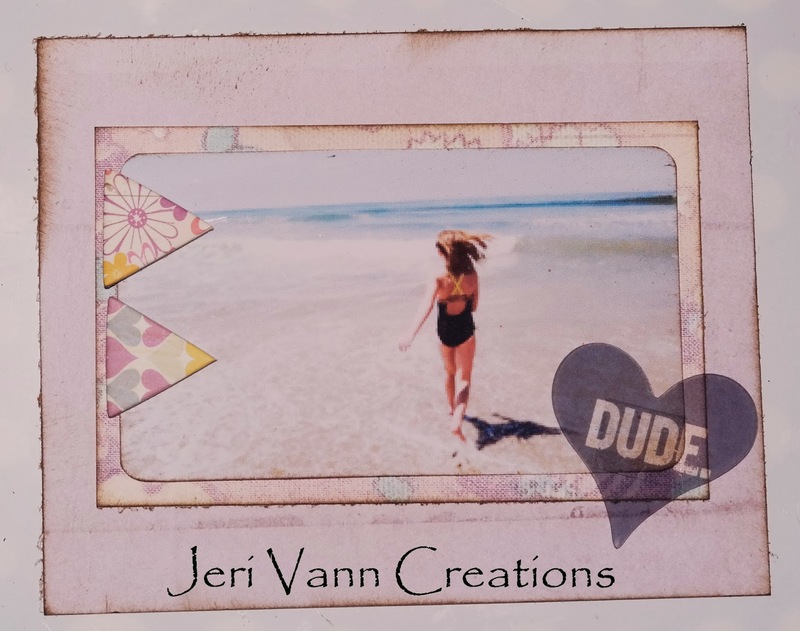 This time I used Distress Ink picked raspberry onto white cardstock and Ranger Archival black ink onto the pink cardstock that's also in the bundle. 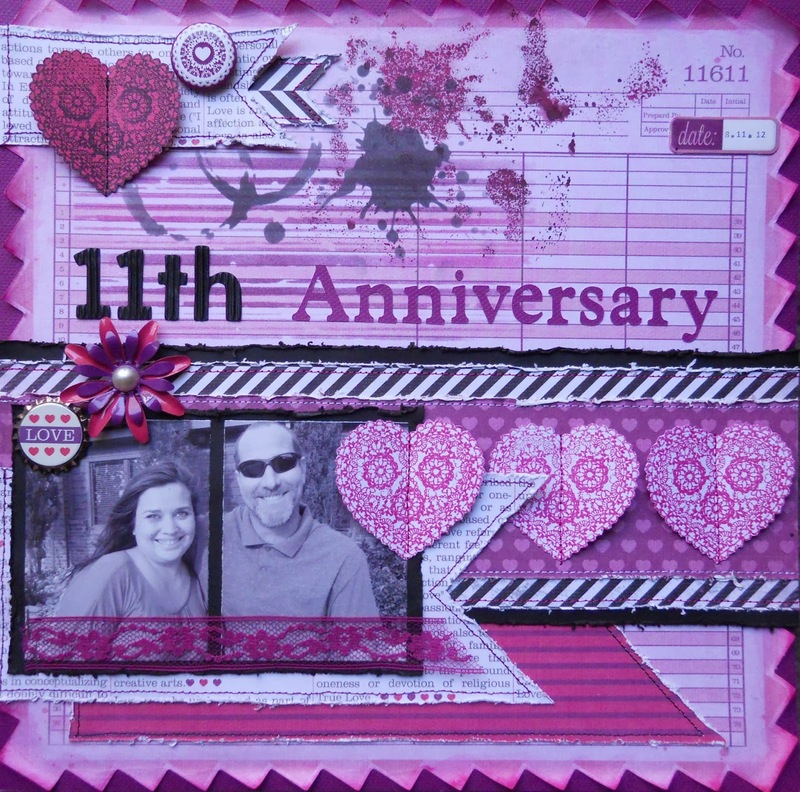 Thanks for looking, and be sure to visit FotoBella for all of your scrapbooking needs! 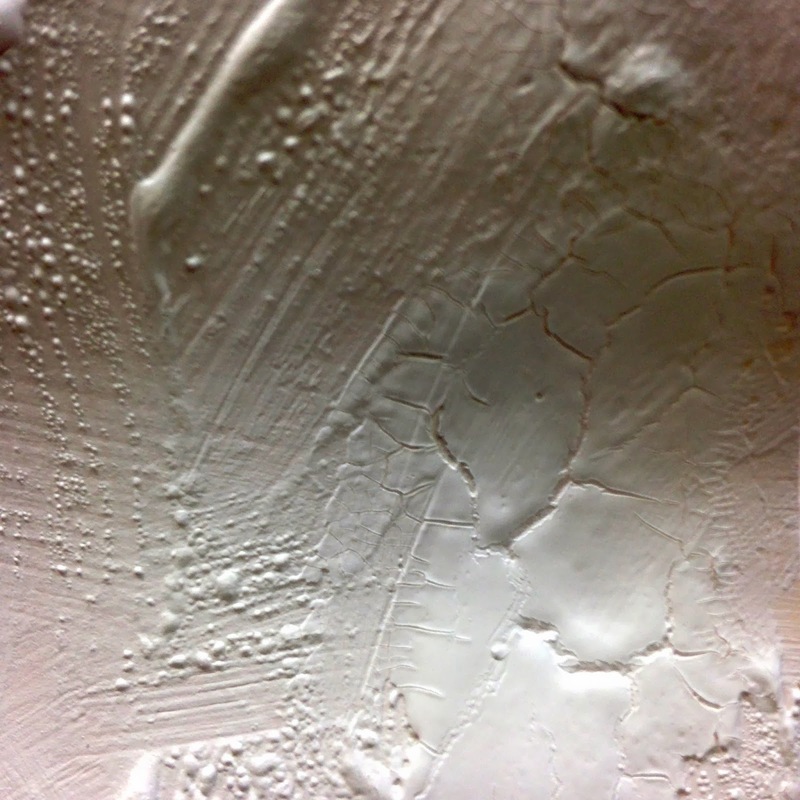 I have a tutorial using Gesso in a different way. 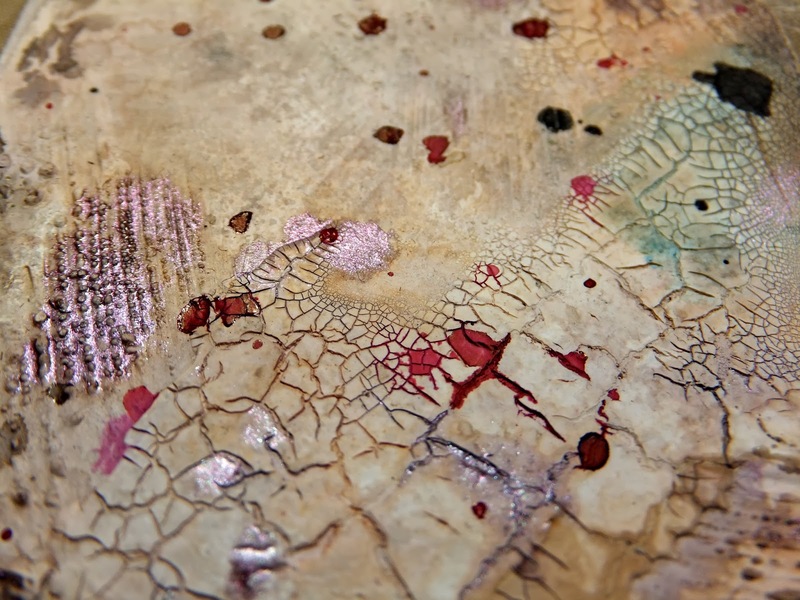 This is a mixed media technique that I have used for years. Hope you will find some inspiration from it. 1. 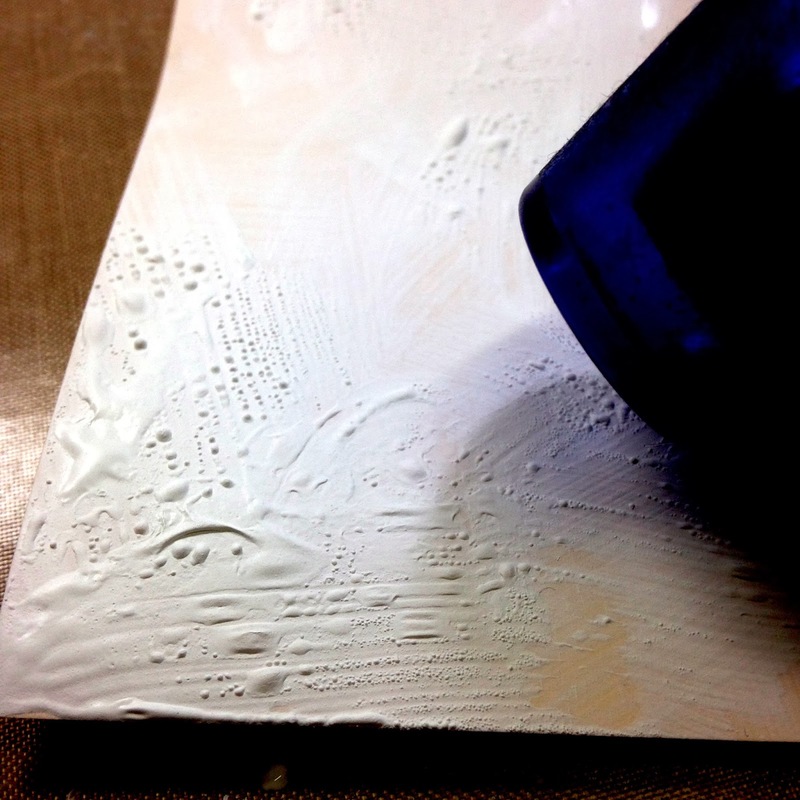 Add gesso to the tag and use heat gun until the gesso starts to bubble. 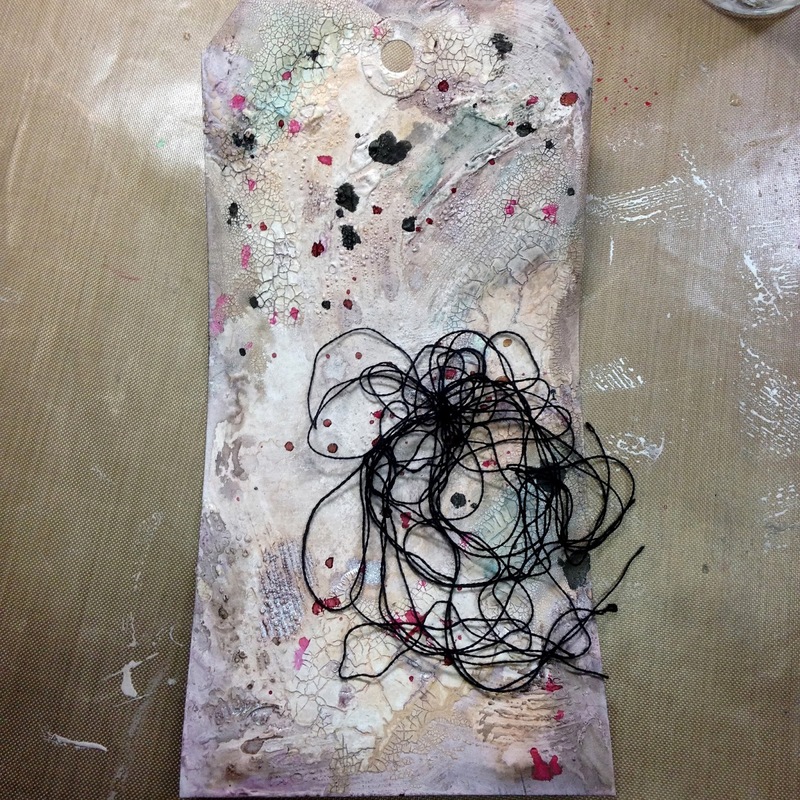 Use caution not to burn the tag or gesso. 2. 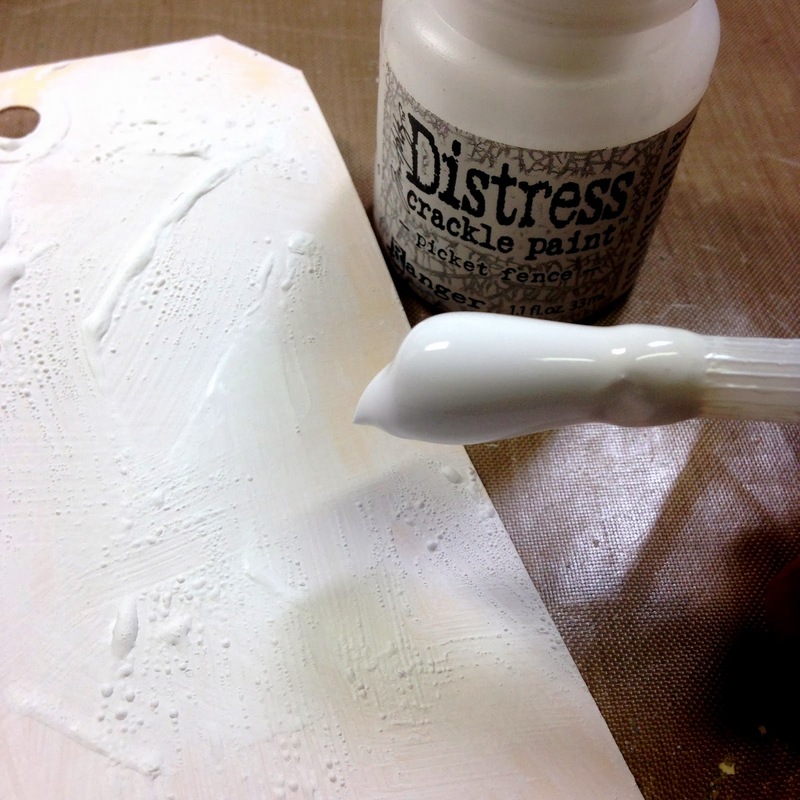 Add white Distress Crackle paint to a few areas. Let dry overnight for the best crackle results. 3. Use Distress Stain Tea with water. Dry with heat gun. Add other sprays and mists, dry with heat gun. 4. 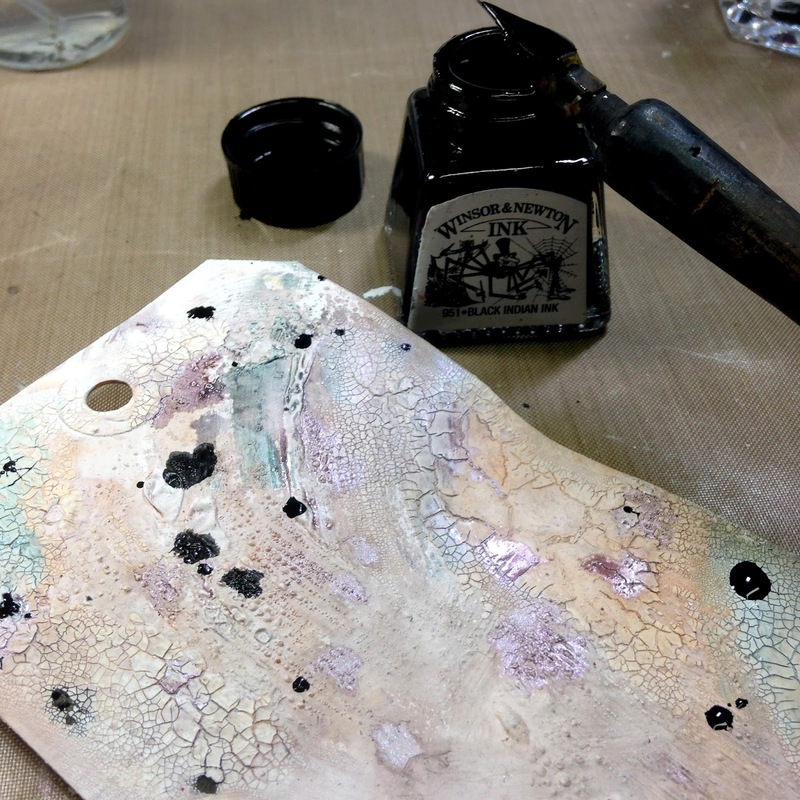 Add India Ink splatters with quill pen. Also do this with red spray ink by removing the spray valve and use the steam to splatter the ink. 5. 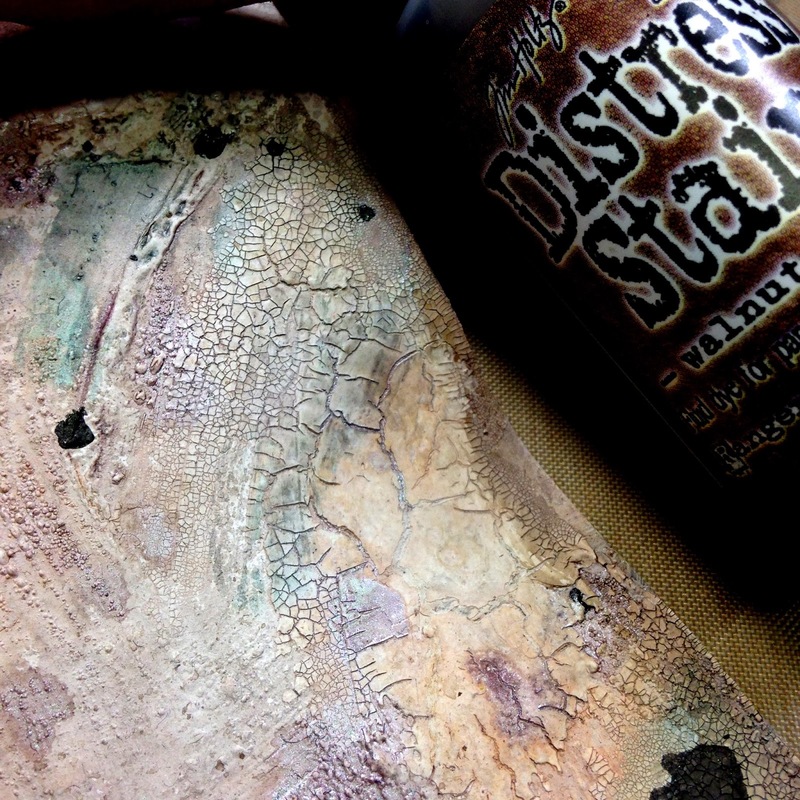 Add Distress Stain in Walnut to the Distress Crackle Paint so that it seeps into the cracks. 6. 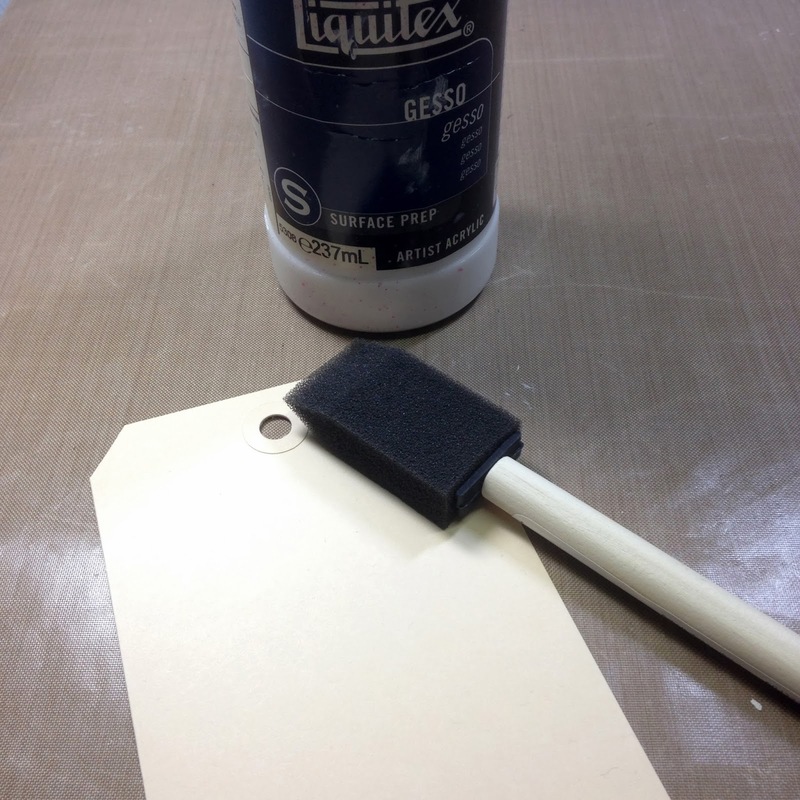 Add the black twine to the lower right side of tag as well to the top in the hole of the tag. 7. Add the chipboard flower sticker over the twine. 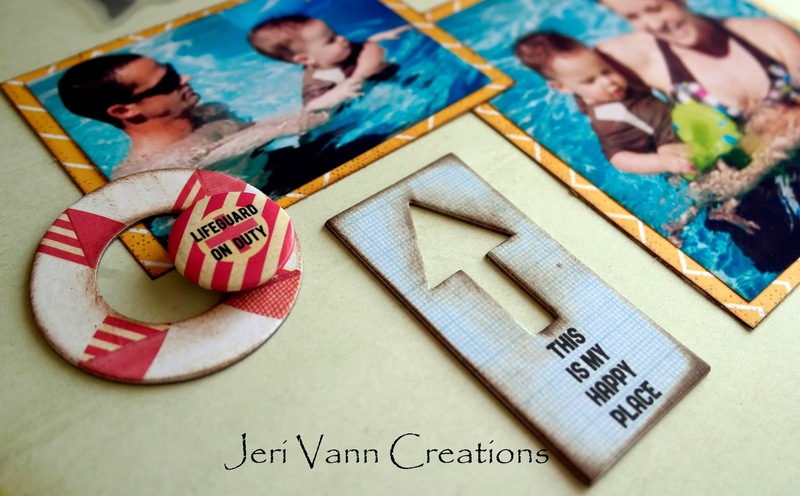 Then layer the chipboard love sticker on top of the chipboard tag sticker. 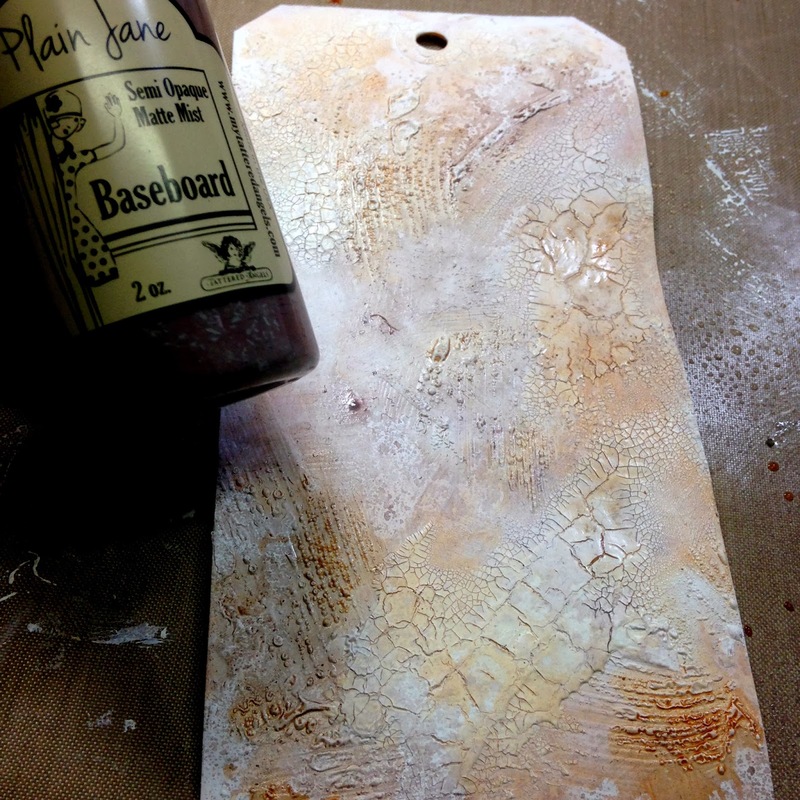 Hope you like the mixed media background using gesso and crackle paint. Welcome, Jessica here with you today. I have a small confession to make. Sometimes I don't really have a story to tell with every layout or picture. Sometimes I just love a picture and want to scrapbook that. I snapped this random picture of my daughter when we were at home in Indiana on a trip. We were standing outside of a store waiting on everyone to come out and she happen to be sitting there and looked up at me and smiled. It was that simple, but I just loved the picture and it looked great with this line of paper. With that little monologue let's take a look at my layout. I kept it pretty simple, I really just wanted to show off the beauty of the product. I used the Basic Grey Fresh Cut I want it all bundle. I REALLY love this bundle. It is so much fun to work with. Thank you for stopping by. Make sure you check out the Basic Grey Fresh Cut Bundle. 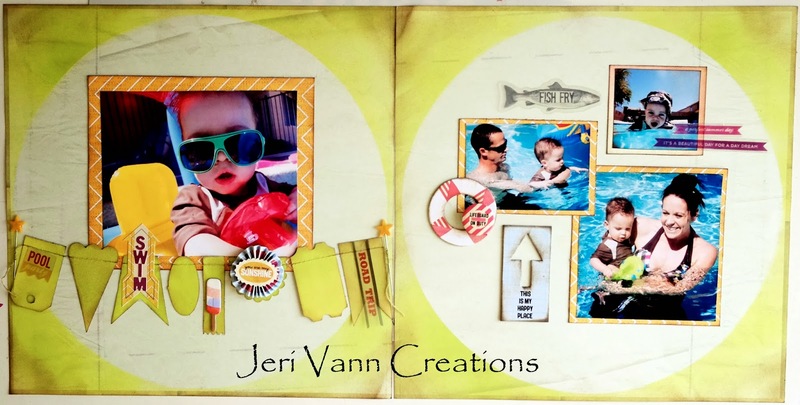 This Is My Happy Place Soleil Double Page Layout. I used the Soleil I Want It All Bundle, and a little spray paint. 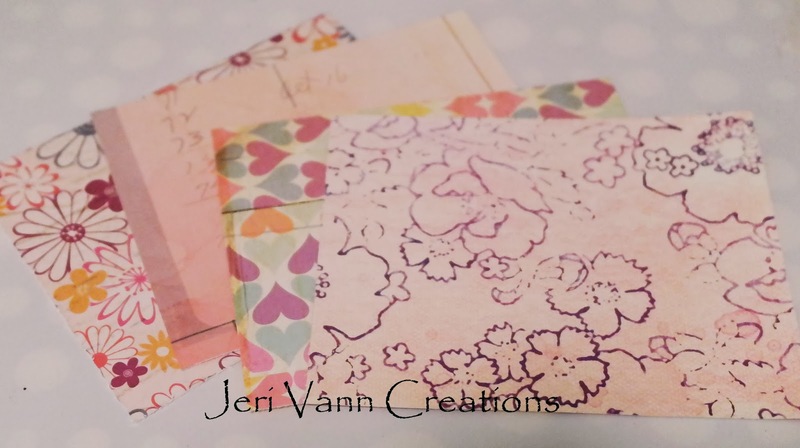 I am loving this bundle, it has so many embellishments, the projects are endless! 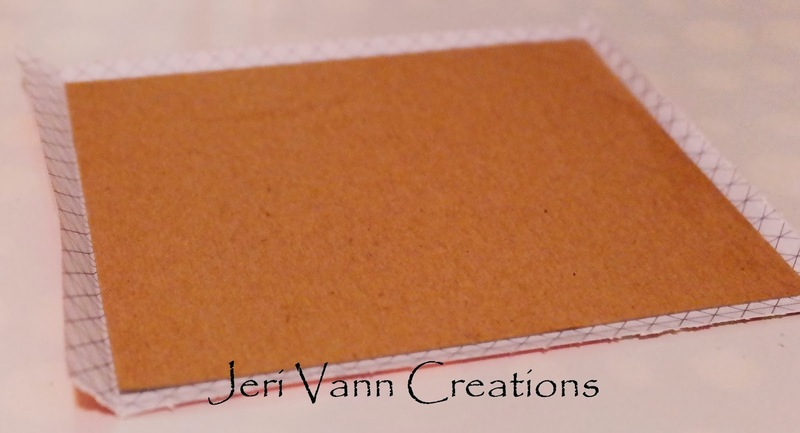 First, find 2 chipboard or cardboard pieces for the front and back cover of your mini album. Cut them 5”x4”. Choose your favorite page for the cover. Cut it a little bigger then the chipboard. 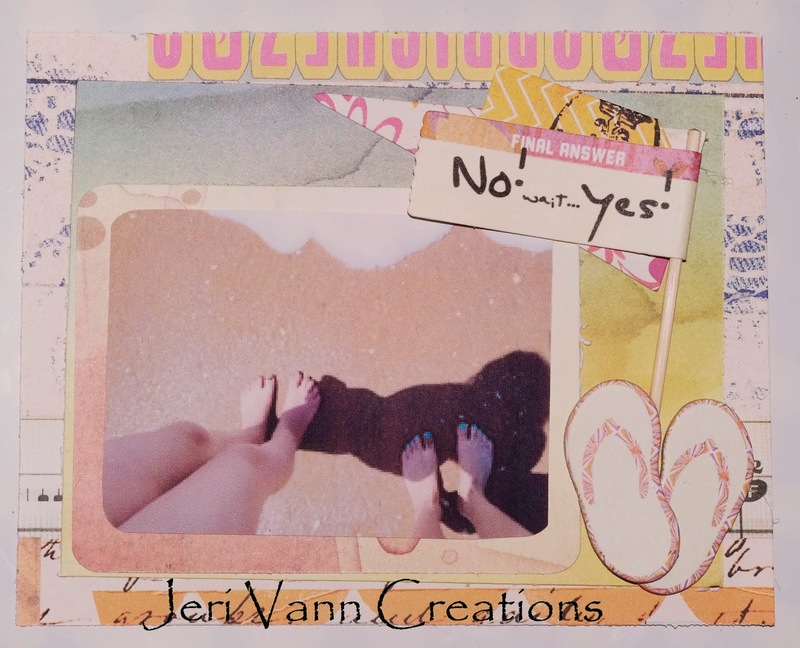 I used ModPodge to adhere the paper. 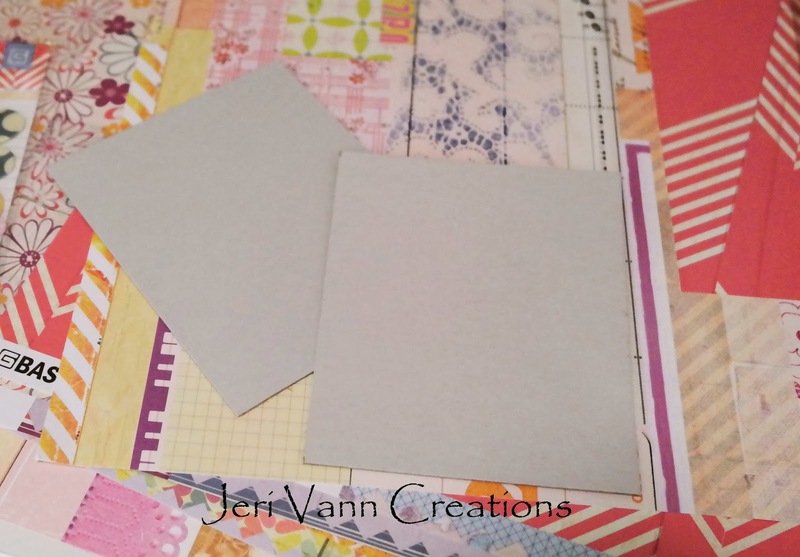 Then fold and crease the paper flaps around the other side of the chipboard, and snip the corners so they lay flat. 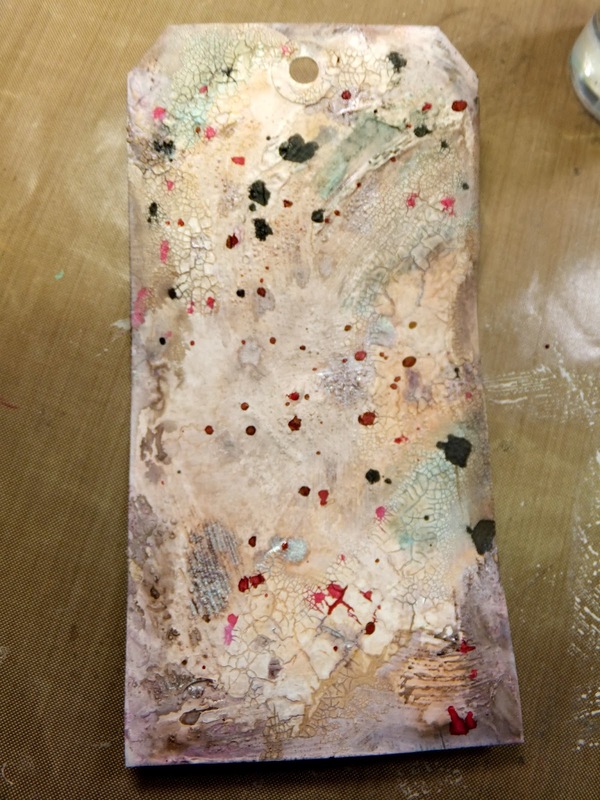 Smear some ModPodge on the paper and fold around the chipboard. I used some clips to hold the paper in place. 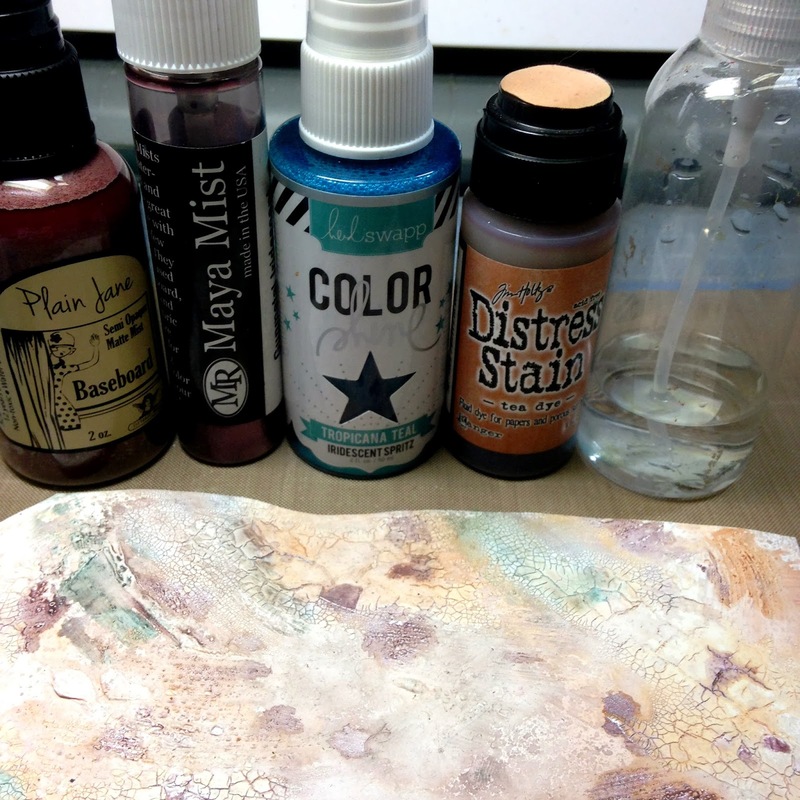 The ModPodge dries pretty quick, so you don’t need to wait very long. Continue this for all 4 sides. Pick out some pages you want to use throughout the album. Cut them the same 5”x4” size. 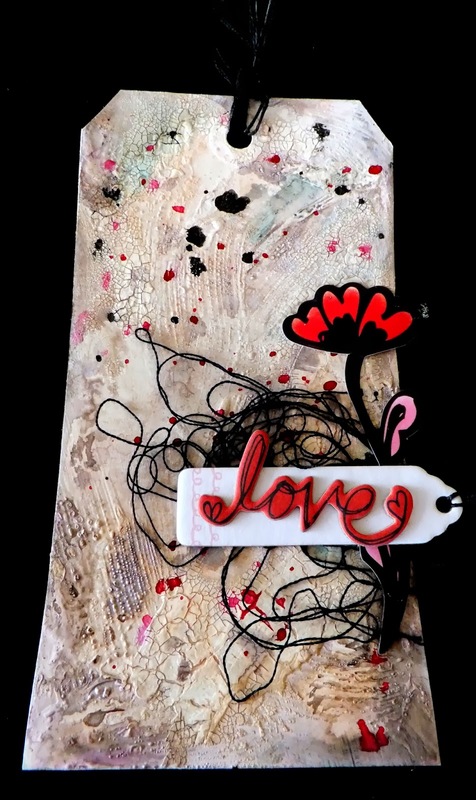 Using ModPodge, glue a cut paper to the inside of the chipboard cover. I added some details with some stamps and Soleil Stickers. Start adding layers. Here I used a Die Cut Flower and Stickers. Picture is 2.25”x2”. I have used a round corner cutter on all the pictures throughout the mini album. Onto the next page. Always lay your album pages out, so you can best decide which papers you want next to each other. Again, add layers. Here I used Paper Scraps, Die Cut Pieces and Chipboard Stickers. Picture is 3.5” x 2.75”. 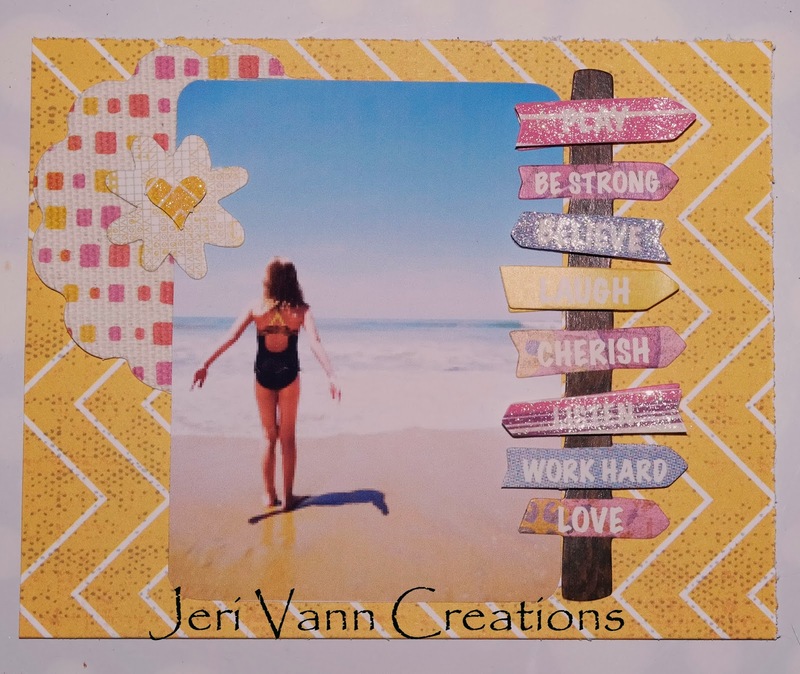 For this page I used Paper Scraps, a Flag, Die Cut Pieces and Chipboard Stickers. Picture is 3” x 2.25”. 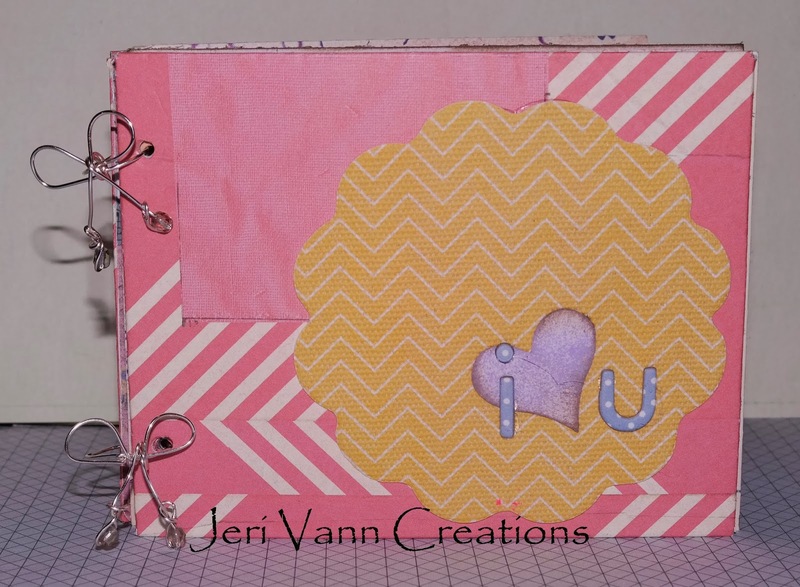 For this page I used Paper, Chipboard Stickers and Transparent Die Cut Piece. To add dimension and draw your eye, I inked the edges of all layers. Picture is 4” x 2.25”. 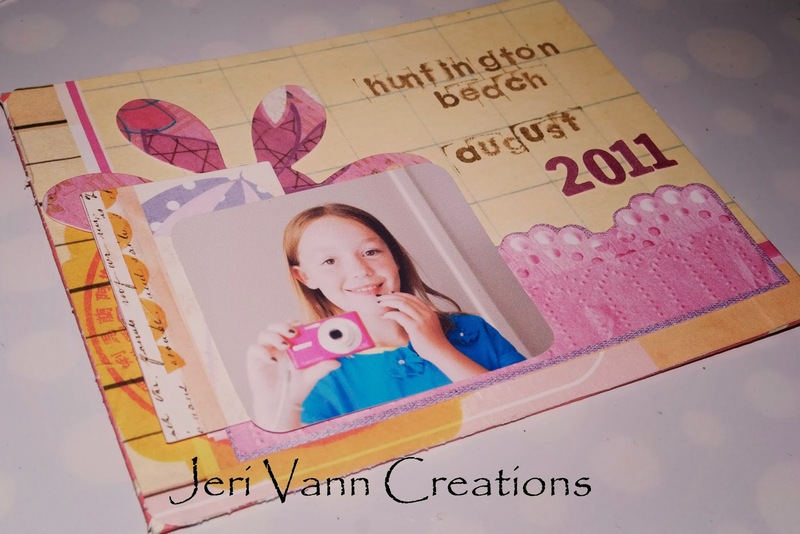 On this page I used Paper and some Die Cut Pieces. I added some inked edges. Picture is 2.5” x 3.5”. Picture is 2.75” x 3.5”. 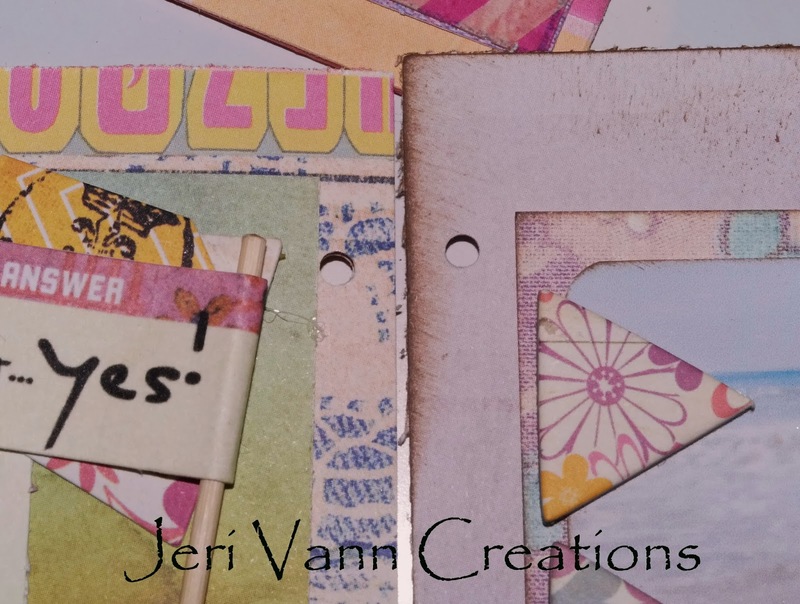 On this page I layered some paper scraps and added a Chipboard Sticker. For this fun page I used some Paper, Die Cut Pieces, Sticker and Transparent Die Cut Piece layered on top of the arrow sticker. I felt the triangle pieces got lost in the background print, so I inked the edges to make them stand out. I used two pictures on this page. Bottom picture is 2.25” x 1.75”, and top picture is 2.5” x 2.5”. 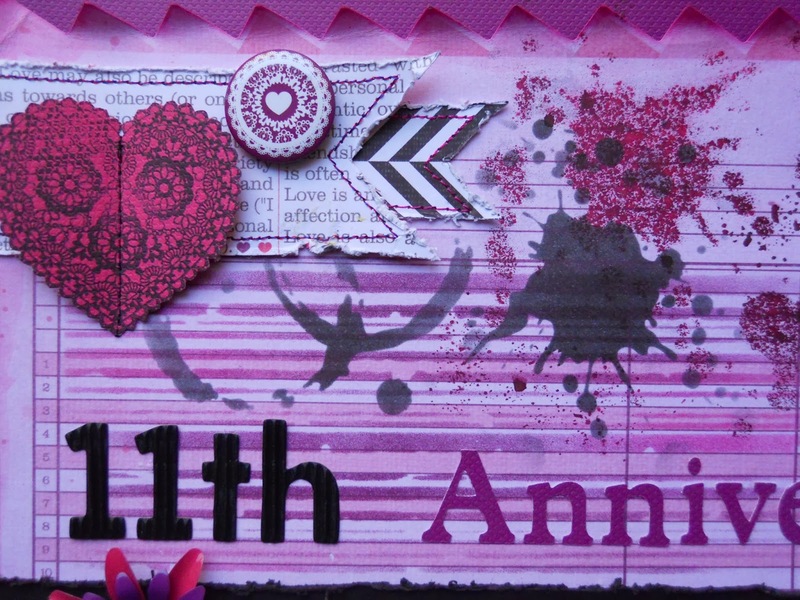 This page includes inked edge Paper, Transparent Die Cut, Sticker and some Chipboard Stickers. Picture is 2.5” x 2.75”. And the last page includes Paper, Flags and a Sticker. I removed the toothpicks from the Flags. Pictures are 1.75” x 1.75”, 2” x 1.75”, and 1.75” x 1.5”. On one sheet, mark where you want the holes to be. I put mine ¾” in from top and bottom edge. 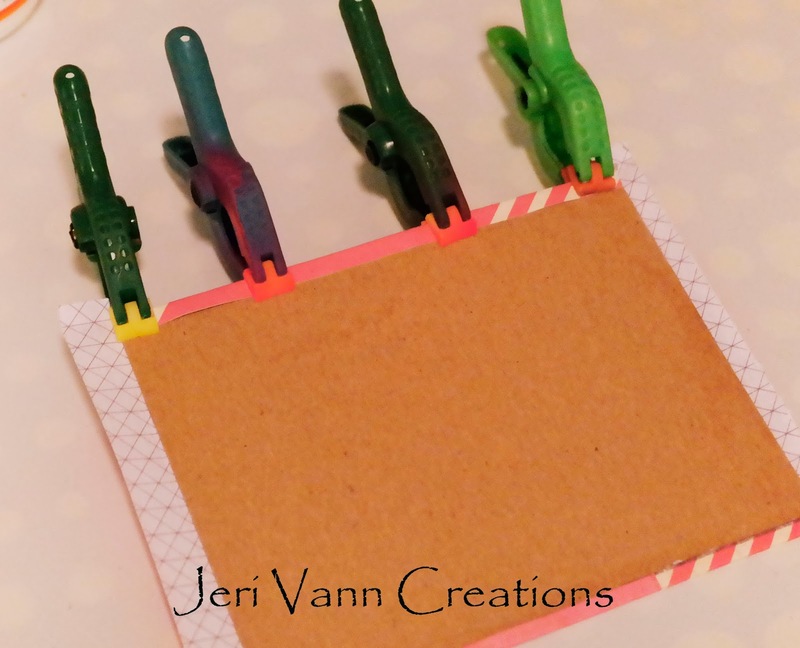 With a hole punch, punch each hole on each page. Make sure they line up with each other. Next, grab your wire, wire cutters and round nose pliers. Cut a piece about 9” long. 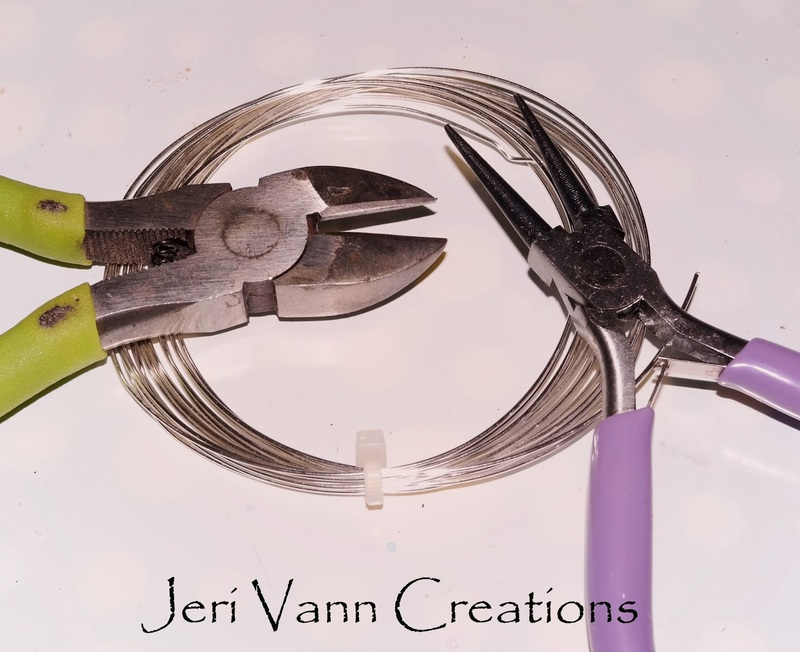 Use something round and wrap the wire around it. Thread it through the album pages and make sure all the pages are upright, in order and end up in the round area you just made. Next, start wrapping the wire and make a bow. 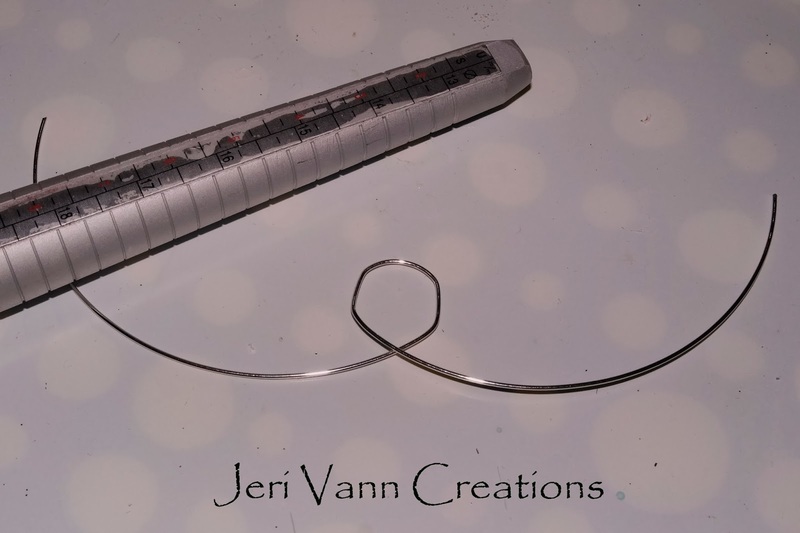 I added some faceted beads to the end and then wrapped the wire ends up and around. Make sure to tuck the wire ends in somewhere, so they do not cut anyone. Repeat this for the second hole. 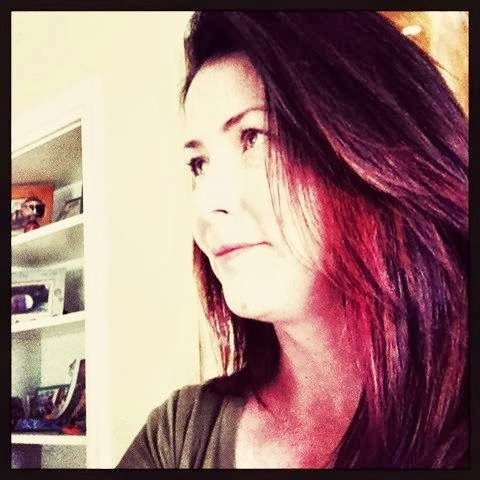 When first creating each page, do not feel pressured to finalize it before moving on to the next. I love creating the base of each page, then going back through them. Placing them in order and then touching up your details. I went back through and added additional Stickers, Die Cuts and other embellishments. 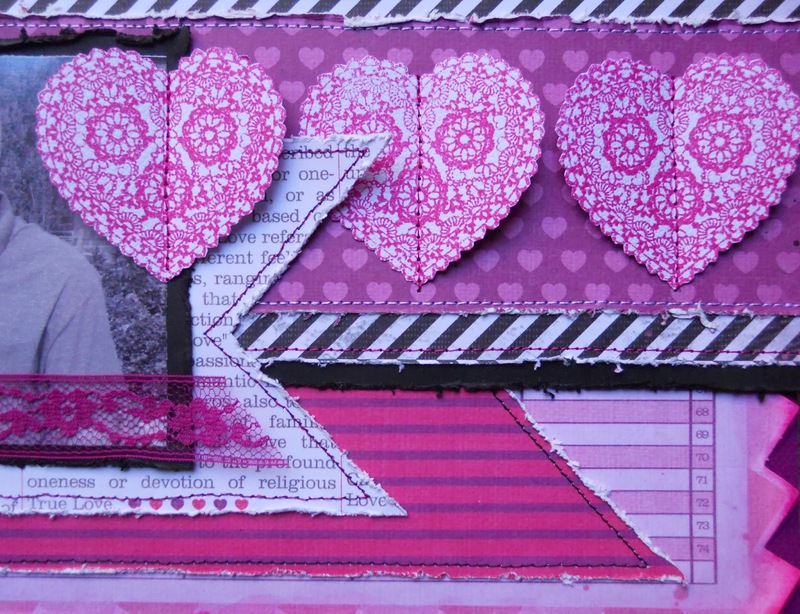 I love the Die Cut hearts, but I didn’t see one in the print that I wanted for the cover. So I dabbed it on a purple ink pad, and then inked the edges with some brown. 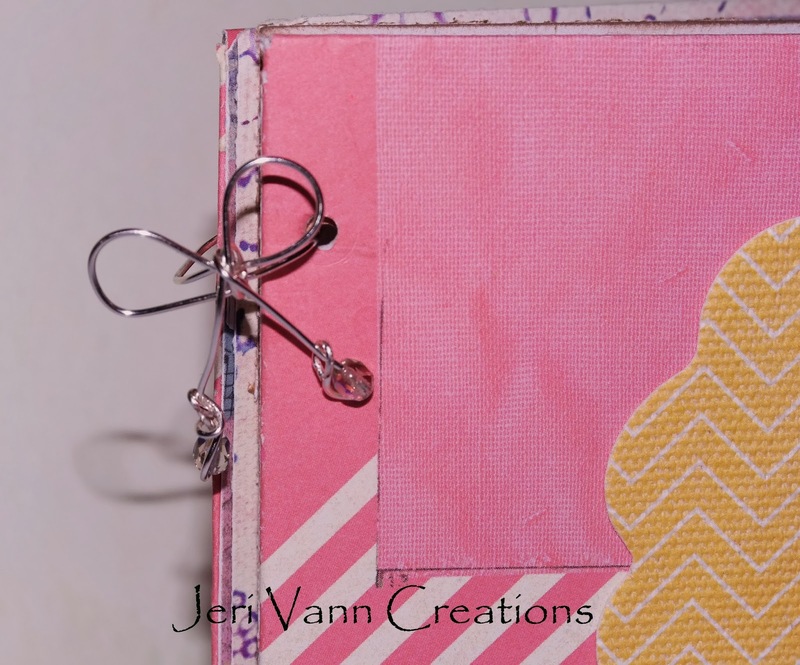 For the cover, I used the large Chevron Print Die Cut Flower and hot glued this to the lower right corner. 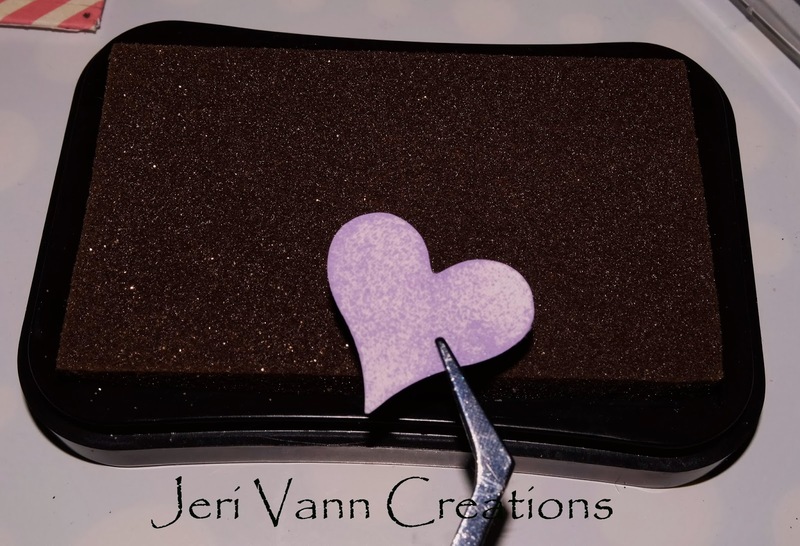 I glued the heart at an angle and then glued the Chipboard Stickers on top. And the Soleil Mini Album is finished! Follow our blog! Enter your email here.